A few years ago, I noticed this lovely woman at her window. 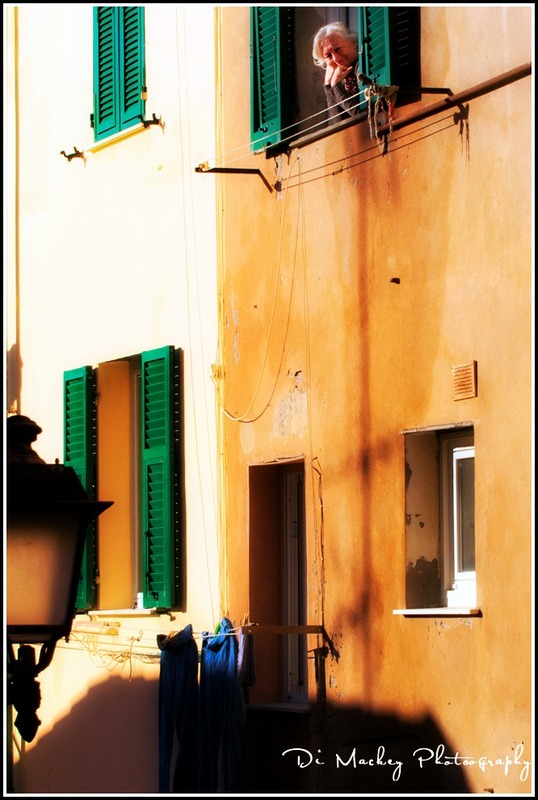 Her house is out on the Ligurian coast, in a small fishing village that I love to visit. I raised my camera and asked if I might photograph her there. She agreed, with a nod. Then she came downstairs and we talked for a while, and I took some more photographs of her, with her permission. She was lovely. Last night, Barbara and I sat down at one of my favourite cafes, in Piazza Matteoti, and there was that woman ... sitting reading a newspaper at the table next door to ours. I didn't expect her to remember me and I didn't like to interrupt her but as we were leaving, I couldn't resist. I said Ciao, and asked if she remembered me taking her photograph. It was so lovely to see her again. So very lovely.